Is InterTrader the Right Broker for You? InterTrader is a derivative brokerage firm that offers customers a platform for spread betting and trading forex and Contracts for Difference (CFDs). CFDs allow traders to speculate on the price of assets without actually owning them in their accounts. InterTrader offers customers CFDs on forex, stock indices, individual shares, commodities, interest rates, bonds, cryptocurrencies and special trading markets. InterTrader is owned by publicly traded gaming company GVC Holding plc. The firm is known for its “no dealing desk” business model. Rather than taking the other side of your trades, InterTrader immediately hedges them in the underlying market, which effectively eliminates any conflict of interest the broker has with its customers. Customers of InterTrader have access to trading on the InterTrader web-based platform, the industry standard MetaTrader4 (MT4) platform and mobile trading apps on iPhone, iPad and Android. InterTrader offers customers a regulated and low-cost way to trade a wide array of CFDs and forex. Customers can take comfort in the broker’s strong financial backing from its publicly traded parent company. Please remember, while InterTrader is a responsible broker, losses can still exceed deposits. CFD trading is for experienced traders. 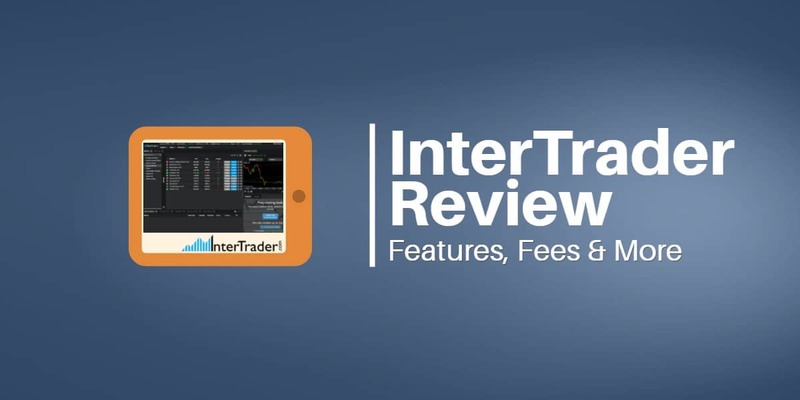 This review of InterTrader will cover all of the important details about the broker and discuss its major advantages and disadvantages. What Could InterTrader Do Better? InterTrader Limited is part of the GVC Holdings plc (GVC) family of companies. GVC Holdings plc is a multinational gaming and sports betting company listed on the Official List (the premium segment) and traded on the Main Market of the London Stock Exchange. The firm was incorporated as Gaming VC Holdings S.A. in Luxembourg in 2004. In addition to operating InterTrader, GVC operates many companies in the gaming sector including bwin, sporting bet, PartyPoker and Foxy Bingo. GVC employs over 3,200 employees in 20 offices worldwide. The firm has licenses to operate in 14 countries. GVC acquired bwin.party in February 2016 to form one of the world’s largest listed online gaming companies. The firm launched InterTrader in 2016 through its subsidiary InterTrader Ltd.
GVC is incorporated in Isle of Man, where it has registered offices. InterTrader is a trading name of InterTrader Limited which is owned and controlled by GVC Holdings plc. InterTrader Limited is authorized and regulated by the Gibraltar Financial Services Commission and registered with the Financial Conduct Authority in the UK (Registration number 597312). InterTrader provides customers dedicated 24/5 customer support. Traders can contact InterTrader customer service by phone, email or live chat. Traders can also fill in an online form to leave a callback number for InterTrader to contact them. 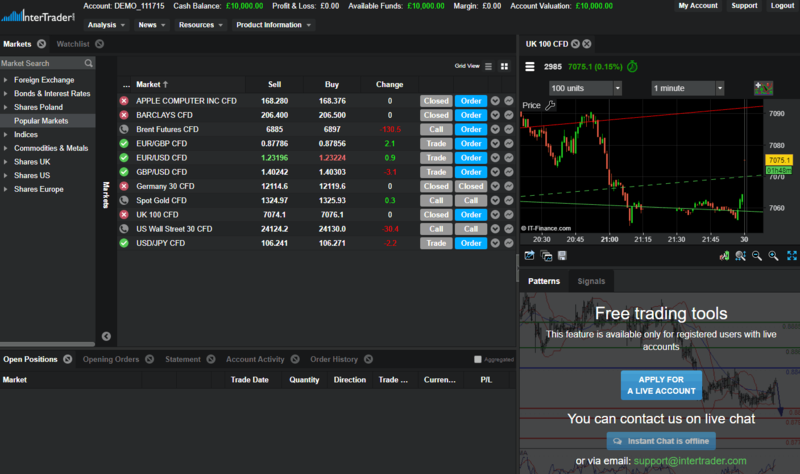 Traders can view the InterTrader website in English, Spanish, French, Polish, and Bulgarian. We feel that InterTrader is a trustworthy company since it is registered with the Financial Conduct Authority (FCA) (Registration number 597312). The company receives its regulatory oversight from the Gibraltar Financial Services Commission. In addition, shares of InterTrader’s parent company, GVC Holdings plc, are publicly traded on the London Stock Exchange. As a public company, GVC Holdings plc must make full disclosures about its financial health. Austria, Belgium, Bulgaria, Croatia, Republic of Cyprus, Czech Republic, Denmark, Estonia, Finland, France, Germany, Greece, Hungary, Ireland, Italy, Latvia, Lithuania, Luxembourg, Malta, Netherlands, Poland, Portugal, Romania, Slovakia, Slovenia, Spain, Sweden and the UK. All client funds are held in a segregated client bank account The Gibraltar Investor Compensation Scheme (GICS) may cover up to €20,000 if InterTrader fails. The Gibraltar Financial Services Commission (GFSC) regulates InterTrader’s activities. The GFSC is modeled on the FCA and maintains the same high regulatory standards, but in a smaller jurisdiction. The GFSC lays down strict rules on the handling of client money. InterTrader clients’ funds are fully segregated and ring-fenced. This not only includes funds deposited with the broker, but total net available funds (including the value of open trades calculated on a mark-to-market basis). Client funds are held completely separate from the firm’s own funds. Any money that InterTrader holds for its clients cannot be used to satisfy the claims of any of the broker’s creditors. Even the bank cannot use the funds to offset against debt on any other bank account. The GFSC compensation scheme pays compensation up to €20,000 to customers if InterTrader is unable to pay. InterTrader is registered with the Financial Conduct Authority and its registration number is 597312. GVC Holdings plc, the company that owns InterTrader, is a publicly held company traded on the London Stock Exchange. Non-Executive Chairman Lee joined GVC in December 2004. 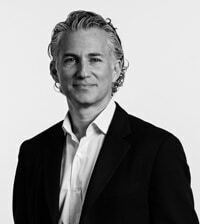 He is the Managing Partner of Twin Lakes Capital, a private equity firm focused on branded consumer products, media and business services and the CEO and a board member of both MacKenzie- Childs and Jay Strongwater, the American luxury home furnishings and personal accessories companies. He has a B.A and J.D. from Columbia University. 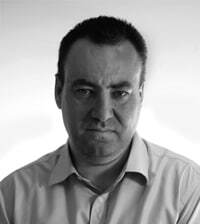 Chief Executive Officer Kenneth joined GVC in March 2007 as Chief Executive. He was formerly Finance Director, then Managing Director, of the European operations of Sportingbet plc, which he joined in 2000. He is a member of the Institute of Chartered Accountants of Scotland and previously worked for Grant Thornton. Chief Financial Officer Paul joined GVC in March 2018 as Chief Financial Officer. Paul is a Chartered Accountant and has extensive experience across the UK retail sector as well as financial and commercial knowledge. 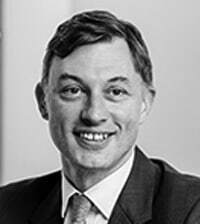 Senior Independent Director Will is the Deputy Chairman and Senior Independent Director at Stagecoach Group plc and is an independent Non-executive Director of Purplebricks Group plc. 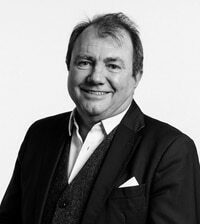 He is also President of the Chartered Institute of Logistics and Transport and Chairman of the Scottish Gallery and Scottish Event Campus Limited. InterTrader offers customers CFD trading in seven categories of financial assets: forex, stock indices, individual shares, commodities, interest rates/bonds, cryptocurrencies and specials. InterTrader often offers special topical markets, including grey market quotes on the latest IPOs and trading on the key data releases such as US Nonfarm Payrolls. InterTrader categorizes its account by the type of products you want to trade. Traders in the United Kingdom can open a Spread Betting Account, while traders from all jurisdictions can open a CFD or a Forex account. Minimum initial deposit for live accounts must be no less than 100 GBP/EUR/USD/PLN. Every other deposit on your account (excluding initial deposit) must be no less than 50 GBP/EUR/USD/PLN. InterTrader also offers a demo account for interested traders who want to try out strategies before committing capital to trades in a live account. 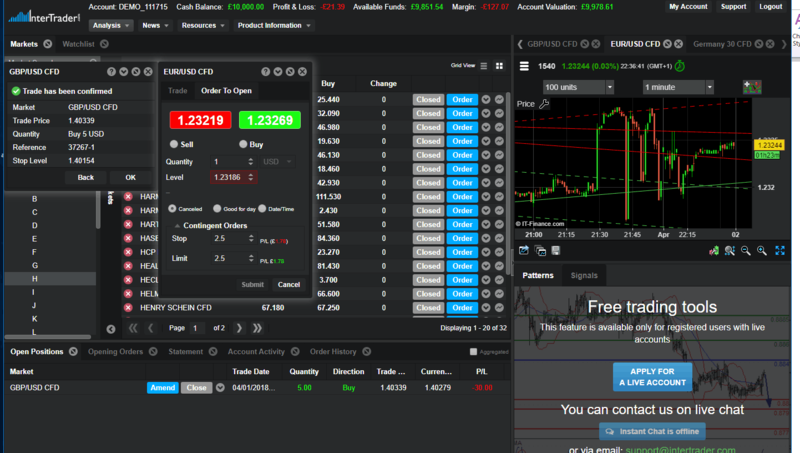 Traders can open demo accounts for both the web-based and MT4 platforms. InterTrader receives its compensation in the form of the market spread. The difference between the buy and sell prices for any given market is effectively your cost for trading that market. The spreads for trading vary by the particular financial instruments being traded. The following are the spreads on the most popular of the 60 plus currency pairs InterTrader offers. The following are the spreads on the most popular stock indices and futures offered on the InterTrader platform. Spreads on indices vary by the time of the day that the trade is placed. InterTrader customers can lower their spreads further through the firm’s loyalty rebate TradeBack program. Traders that have paid a combined spread cost during the month of over £500 receive an automatic rebate. Traders receive rebates regardless of their P&L trading during the month. InterTrader calculates the TradeBack rebate on all trading, including trades on equities. 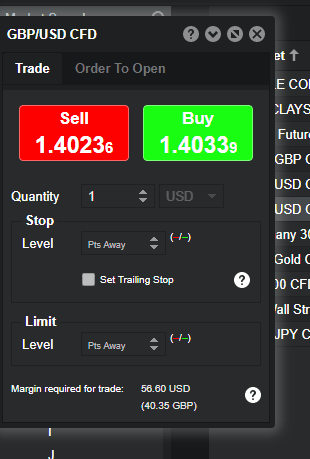 However, MT4 accounts are currently excluded from TradeBack. Deposit Fees: Some international transfers will incur a fee charged by your bank. Withdrawal Fees: Some withdrawals will incur fees (see below). Overnight Financing Charges: If you hold a position in an undated (Rolling Daily) contract open overnight a small debit or credit will be applied each day to represent the interest cost of holding a margined position. After you click the blue “Create Your Account” button on the website, InterTrader starts the process of opening your account. The first question you have to decide is whether you want a web-based account or an MT4 account. The web-based account offers 100% market-neutral execution (the no dealer desk model), while the MT4 platform offers customers the possibility of setting up automated trading. You also decide the base currency for your account and whether you want a spread trading or CFD account. InterTrader doesn’t require specific prior trading criteria to open an account. However, traders must answer some questions to demonstrate that they understand the trading products and the risks associated with them. After completing this information, traders have to supply additional information to verify their identity and proof of residence. You can upload documents via a webcam, your phone's camera or from a file you have already saved on your device. Some customers may be asked to provide additional documentation depending on the quality of the documents provided. Due to money laundering regulations, InterTrader can only accept deposits from your own bank or card accounts, not those of a third party. You can deposit by a card and make online payments in GBP, EUR, PLN or USD via the My Account section of the web-based platform or via the Company tab on MT4. Skrill is an online wallet for secure payments and is authorized and regulated by the Financial Conduct Authority. InterTrader offers different amounts of leverage depending on the product. The European Securities and Markets Authority (ESMA) recently introduced an industry-wide limit on leverage levels for spread betting, forex and CFD products. Each specific financial instrument also has InterTrader margin requirements that traders must maintain. Traders who fall below the InterTrader margin requirements risk receiving a margin call and having their position closed prematurely. Traders can obtain more details about how these margins are determined at the InterTrader product information section. To withdraw funds from your account, you click on the My Account area of the web-based platform and select Request Withdrawal. You can also email or call InterTrader for advice on how to withdraw funds. InterTrader requires you to withdraw funds to their original source, so if you made your initial deposit by bank transfer, the broker returns funds must to your bank. If you made your initial deposit by card, then InterTrader returns funds to the card. InterTrader usually processes withdrawals within 24 hours if the trader has all of the details in place. However, bank or card providers may take up to three to five days to return the funds to your account. Skrill withdrawals could take up to 24 hours. When you transfer funds from your Skrill wallet to InterTrader, there will be a processing fee of 3%. To avoid excessive transaction costs, InterTrader may refuse individual withdrawals under GBP50/USD50/EUR50/PLN50 unless this is to close your account. Cross-Platform Trading Charts: Traders can integrate advanced charting into their trading. This feature allows you to select charts using dozens of timeframes and color schemes. With this feature, you can access 50 different technical indicators from the drop-down at the top of the chart. You can also set alerts on specific prices, trend lines or technical studies. The InterTrader web-based platform is customizable and was designed to be easy to learn. The main screen has a bold and clean layout and some features that make it easy to locate instruments to trade. The Market Search window on the left side of the screen has a list of instruments categorized by asset class. When you click on one of these categories, the list of instruments populates to the immediate right of this section. There are news, analysis and research sections on the top of the platform and a position monitor tab at the bottom. The customizing features of the web-based platform are especially useful. You can resize and alter the trading panels that are shown on the trading screen. We especially liked the fact that you can easily integrate the advanced tools (see above) into the InterTrader Web platform. The Analysis tab has a drop-down menu that links to the Strategy Centre, Trading Tool and Education Centre. The news section allows you to link to features that fundamental traders will find especially useful. InterTrader also integrates research and analysis into each specific market you access. In fact, you can access a trading ticket directly from the research panel, which is a feature we found especially appealing. The InterTrader trading ticket is adequate, but we found some features associated with it to be awkward and difficult to use. The “stop” and “limit” contingency features required clicking on a separate drop-down arrow to add to the order. Also, the radial circles for adding other contingencies (canceled, good for day and date/time) were too small and poorly placed. Overall, however, the InterTrader web-based platform is a solid offering with a lot of really impressive tools for both technical- and fundamentally-oriented traders. Traders can open an InterTrader demo account in both the web-based and MT4 platforms. The account is separate from the live platform, and traders can’t toggle back and forth between the two platforms. We found that this separation to be a slight inconvenience, but it is not unique to InterTrader. However, some other brokers do support a direct link to the live platform, and we found this to be useful. Free Trading Webinars: InterTrader hosts a series of live webinars for all skill levels of traders. Traders can consult this section for an upcoming schedule of courses. Economic Calendar: A list of key upcoming economic events, which is coded by country. Frequently Asked Questions: Covers common questions related to trading on the InterTrader platform. Smart Trader: Text and video covering market data, new and strategies by leading market analysts. Jargon Buster: a glossary of key market and trading terms. Cash-out restrictions apply, and traders should consult the broker’s Terms & Conditions section for full details. InterTrader has a Refer-a-Friend program that allows traders to earn bonuses when they get a friend to sign up for a trading account. Restrictions apply, and traders should consult the broker’s Terms & Conditions section for full details.